my name is Marina Marques. I'm a front-end developer based in the beautiful city of Lisbon, Portugal. I'm a front-end developer (fancy name to say that I architect and develop websites and applications). My first experience with code was at the time everybody had a MySpace profile. I remember struggling with finding the way to change the background-color and have flashy text. I used to spend hours trying to customize it and couldn't even seem to see the time get by. The excitement of having the power to structure pages on my own was amazing. It's just like lego. You start piece by piece, nobody understands what you're building and tada... you have a castle. Here's to building castles with code! front end development, wordpress development and SEO improvement. 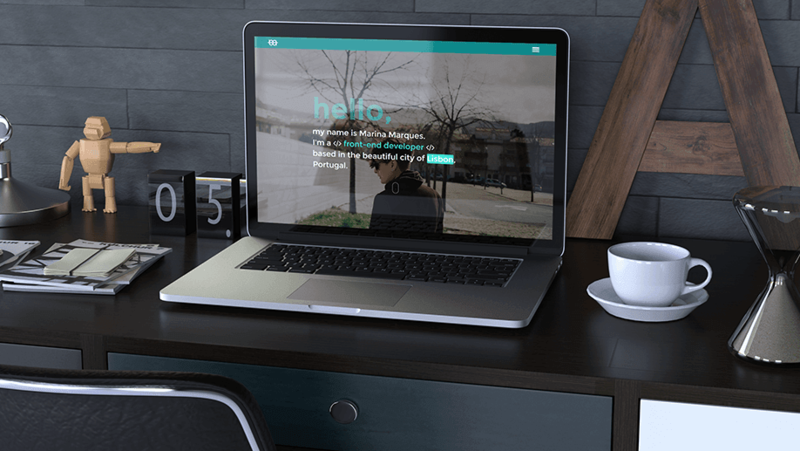 Responsive apartment booking website made with WordPress. Custom child theme, google maps and apartment filters. 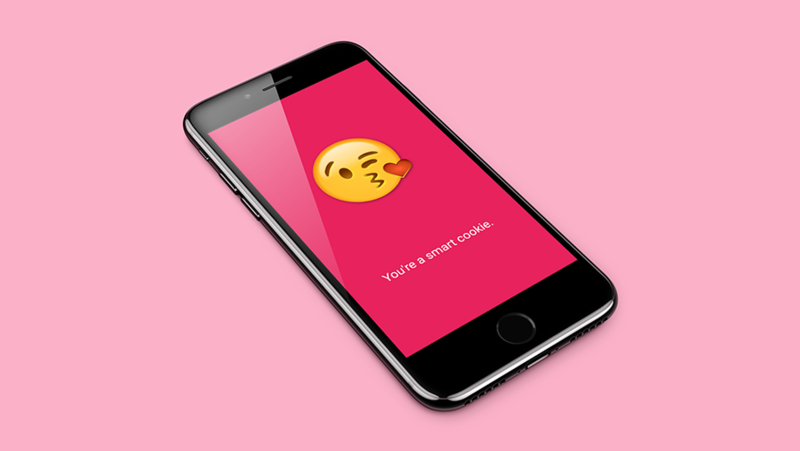 For those rough days - an app that compliments you. A mobile app with a compliment generator per click. 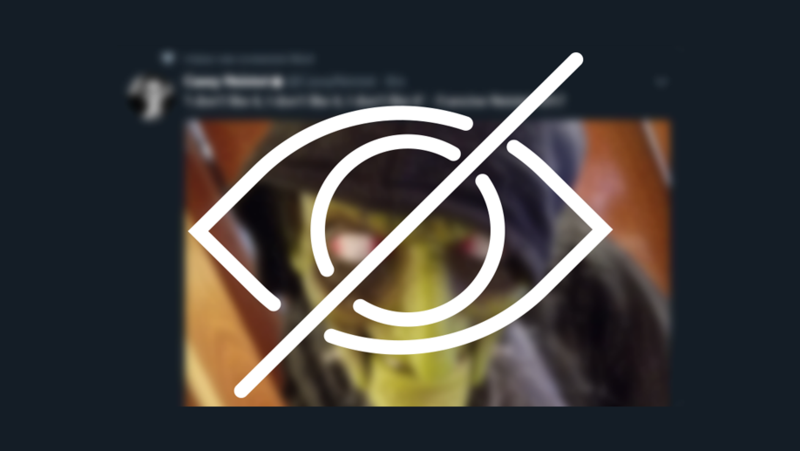 Browser extension (Google Chrome/Firefox) for Twitter that improves your feed by hiding 'User X liked this'. For those rough days - a compliment per click. 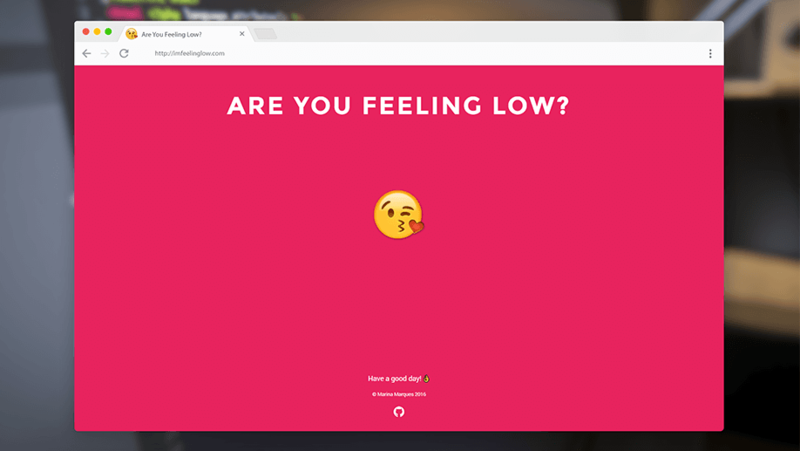 Landing page with a compliment generator. Responsive personal/portfolio website. 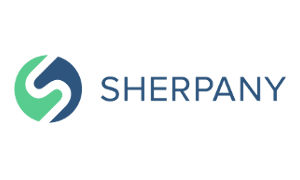 The source code is available at both Codepen and Github and has been used by over 300 people. Development of responsive websites, cross-browser and cross-platform testing. Custom development (website, theme & plugin), hosting and maintenance. Increase your visibility across all major search engines & local search with SEO techniques. 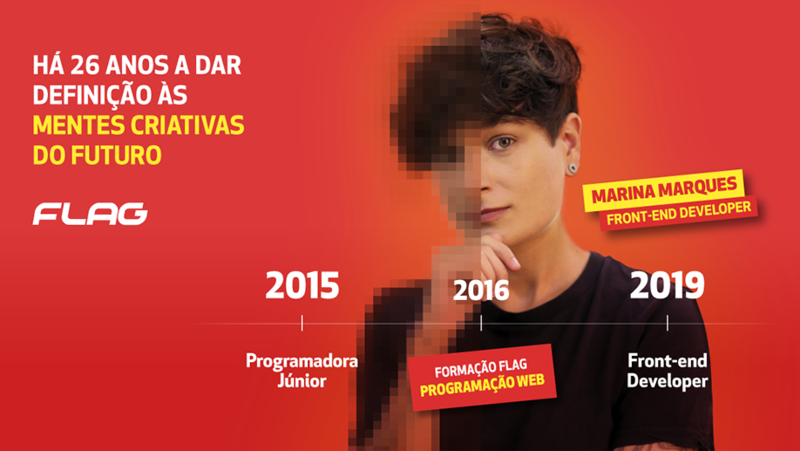 I was invited by FLAG (the school where I finished my Web and Mobile Development course with an average of 18(/20)) to take part in their publicity campaign. The campaign was focused on success cases - print (outdoors in the Lisbon subway) and digital (video). 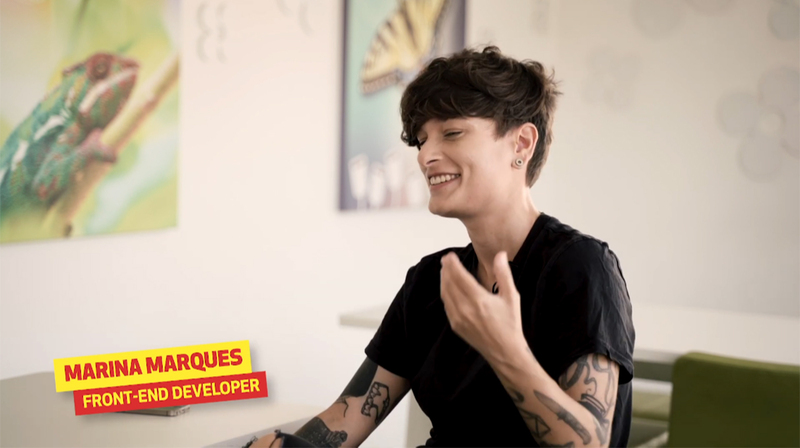 I was chosen to give my testimonial regarding my experience as a front-end developer. Marina is always ready to accomplish the impossible in record time. She's the fastest person in BNPP! Quick as lightning with robust solutions. She shows real commitment and demonstrates entrepreneurship skills as well as innovation abilities. She doesn't give up until she finds a solution for what seems to be impossible. Cookie Notice: I'm using cookies. By using my website you consent to these cookies.